Indirect Participants at this meeting within the “Great Conversation” across the Ages (in the order of their Appearance): De Sanctis, Kant, Labriola, Carducci, Vico, Baumgarten, Fiedler, Schleiermacher, Baudelaire, Flaubert, Borges, Leibniz, Hegel, Fiedler, Dante, Descartes, Said, Homer, Grassi, Heidegger, Buber. In this 29th meeting of the Ovi Symposium we follow-up on the preceding exploration of Vico and Croce’s aesthetics and their intrinsic connection with language and historicism. In section one Ernesto Paolozzi traces the origins of Croce’s anti-positivistic aesthetics which he finds in various philosophers of the18th and 19th century but primarily in Vico. 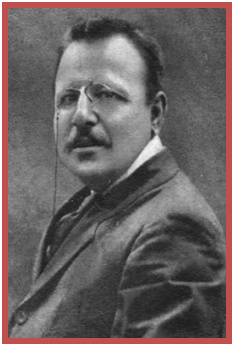 He reveals to us how Croce himself traced his own development in the field of aesthetics and who were the authors who most influenced him. In section two Emanuel L. Paparella traces the origins of Vico’s aesthetics, those aesthetics which influenced Croce two hundred years later, as found in language and historicism and Vico’s own philosophy of the imaginative universal and history. The nexus between the aesthetics of Croce and Vico is thus established as a basis for any 21st century development in philosophy; one that does not give in to positivism, nor does it abandon philosophy’s metaphysical origins. Few philosophers have recorded themselves so thoroughly as Croce did, so it may appear superfluous or at least redundant to return to the theme of the origins of his aesthetics or of his thought in general. And yet, a certain urgency is perceived for such a task. In the first place, this is necessary for divulging Croce’s work for the sake of the new generations, or for those who may not have time for a research of Crocean writings in as much as they are not all easily accessible. In the second place because it is always possible to reconstruct an “ideal” history, one that is not necessarily synonymous with the historical genesis of a philosophy. Only later these may coalesce with a comprehensive analysis of Croce’s philosophy, something that the philosopher himself has accomplished, which does not mean that it does not need some explanations and deepening. We ought to make clear to the modern reader, right from the beginning, that when Croce uses the term nature, he intends no devaluation of the term as understood today. For him nature means, as still prevalent in classical German philosophy, an object opposed to subject, the mechanical opposed to creativity. Thus Croce can affirm that nature as an objective data does not exist. It too is created by man in the sense (which is obvious for those who study philosophy) that man and nature are not antithetical but dialectical terms, that is to say, terms which are reciprocally necessary to each other. Thus Croce’s contextualization is clear, and it becomes evident that the greatest influence, on a purely historical context, is the work of Francesco De Sanctis because (as the entire Crocean journey gives evidence to), if it be true that Herbatism and Kantianism, the lessons of Antonio Labriola and the other suggestions are similar to the very first Desantian readings, it is equally indisputable that, on the level of taste, sensibility and, we’d like to say, on the level of a certain psychological affinity, the work of De Sanctis leaves an imprint on Croce’s entire opus. On the other hand, the same Croce, in the section dedicated to the history of aesthetics, which he adds to its theorectical part, writes that “The autonomy of art had a sincere affirmation in the work of Francesco De Sanctis.” This is an affirmation that, for those who know well Croce’s thought, is very important in as much as his whole aesthetics is founded on the initial necessary recognition of the categorization of art, which is to say of its autonomy from other forms of the spirit, of that history, which also means to grasp their distinction albeit within the necessary dialectical unity with other forms of life. In that sense The Aesthetics is already an outline (but perhaps much more than that) of the future Logic. We could even say that it is already logic in action, before it is formalized further argued in the following famous volume. It would be profoundly anti-Crocean, and we think, objectively far from reality, to consider the thought of a philosopher and the opus of any scholar to be tied almost mechanically to its predecessor rather than to its historical cultural and even socio-economic conditions of a particular epoch. A philosopher wishes to deal with the problems of his epoch, with the debates and the discussions of the historical moment in which he lives, and thus he may or may not refer to others, to past history and find there hints and suggestions for the resolution of what appears, and in some aspects are, universal questions. To understand therefore the importance attributed to the “eternal questions” on the autonomy of art, of creativity, of the poetical, of the nexus between form and content, of the value of literary genres, of the division of the arts, we need to keep well in mind that the end of the 19th century and the beginning of the 20th, on both the purely philosophical sector and literary criticism, was dominated, even if partially and with many nuances, the positivistic mind-set which resolved those questions with wholly different criteria and methods. This can be glimpsed from the reference to naturalism and mechanism Croce makes in the pages of A Contribution to the Critique of myself. We know quite well how much the philosopher was against the attempts to extend the method of sciences, of classical science of Newtonian origin, to all the other forms of the spirit, to use the then current terminology, and how much this pretension appeared to him absurd when it tried to invade the field of the poetic. If on the purely philosophical field Croce tended to demonstrate the absolute, reciprocal autonomy of philosophical science and philosophy per se, in the field of literary criticism also, he opposed any attempt to substitute a method for the other. It would be a false operation to connect rigorously the activity of the literary critics of the epoch to that of the positivists. Ma it is beyond doubt that the literary critics were, in some measure, influenced from this new philosophical trend. But beyond a direct connection, which would have to be proven and demonstrated, it is certain that the so called Carduccian origin school of history, influenced as it was essentially, by philologism, conspired to create a climate so that the Desanctian criticism, the so called criticism of aesthetics, was declared anathema. And yet De Sanctis had been the critic who, more than others, had always had a strong and sincere sense of history. But at that time by history one understood something different of what De Sanctis first and Croce later understood. If, as far as philologists were concerned one needed to remain strictly tied to historical data, to the fact (and here is the nexus with positivism), that it was not to be neglected or undervalued, as both De Sanctis and Croce also believed, but needed to be interpreted, thus reconnecting to the Vichian lesson by which verum and factum convertuntur, and philosophy and philology geminae ortae. These, summarily described are the historical and psychological conditions in which the young Croce finds himself and if the upcoming references of his aesthetics and his criticism are not only the philosophical theories most accredited or the poetics of the great poets of Italian and European literature, there is nevertheless a genesis, an origin of the theoretical thought of Croce which have defined as an ideal approximation but which, in effects consists in the recuperation, which he will accomplish in time, of the greatest tradition, of the greatest tradition of modern aesthetics. In this respect, the two fundamental authors are Kant and Vico, and next to them Baumgartner, Fiedler, Schleiermacher, and other philosophers and poets such as Baudelaire, Flaubert, whose suggestions, in the long Crocean journey, will cris-cross with his own meditations and reflections. Are these the true precursors of Croce? Here we must heed the warning, a la Croce, of the Argentinean poet Luis Borges, who asserts that every thinker and every artist, creates his own precursors, and not vice-versa. This naturally is Croce’s case, especially his case since he theorized the contemporaneity of every history, that is to say, the subjective origin of every interpretation. In the section on aesthetics, which Croce dedicates to the history of aesthetics, there is a clear appreciation of Kant’s position as well as that of his predecessor Baumgartner but the judgment is still not definitive and completely positivistic. It goes without saying that Croce critiques rigorously the intellectualistic or empiricist aspects which he discovers in the two authors, with the generally dry inheritance of Leibniz. In the philosophers whom he brands empirical-critic, Kant, he discovers elements which are surely modern. But not in the general theory of art in the transcendental aesthetics, but in the thoughts which are scattered, in the evaluation that Kant arrives at for the concepts of the beautiful which is still separate from the concept of art. Croce writes that “Imagination, characterizer or qualifying, which is the aesthetic quality, had therefore to take in the book The Critique of Pure Reason, the place occupied from the treatment of space and time, to construct the true transcendental Aesthetics, as a prologue to the Logic. Thus Kant would have made true Leibniz and Baumgartner and would have met Vico.” Thus, and we say this on passant, this confirms what we have tried to demonstrate, the equal distance of Croce between idealism and pure empiricism, given that for him the origin of knowledge is to be placed in the individual and not in the idea, in the individual experience understood however as activity and not as gnoseological passivity. But it is with The Critique of Judgment that a further step is taken. It is then, according to Croce that Kant gets rid of sensualisms and intellectualisms in vogue at that time affirming that the beautiful is that which pleases without interest, or what pleases without concept, and moreover, Croce says that we need to keep in mind the definitions to which Kant refers to, not to art but to the aesthetic judgment. “What is beautiful is that which has the form of the finality, without the representation of the end. What is beautiful is the object of a universal liking.” Ma Croce also thinks that a rigorous determination of this judgment within a more general philosophy of knowledge is lacking, thus Kant appears to him still enveloped within a certain mysticism, a mysticism which is not enthusiastic, not convincing, but exactly because of this less harmful. But the supreme author, for Croce, remains Giambattista Vico. This is because, Vico, as is well known, is the philosopher of history, the first to introduce the idea with full consciousness that philosophy and history explain each other, or rather they in certain aspects identical even if it is a dialectical identification, as more clearly and more precisely affirmed by Hegel, the Hegel of the concrete universal. Thus, as with Kant, with Vico too we can distinguish two essential moments of the comparison with Croce. In the first phase of his thought, the German philosopher puts aesthetics at the origin of his philosophical system without intending, as said before, to place art at the origin of knowledge. However, and here there is a first resonance with Crocean thought, even if he identifies knowledge with subjectivity, he places its foundations in the individual, not in the concept or idea. Vico, as the same Croce affirms, even after so many changes and even contradictions, overcomes Kant’s problem who, as we have seen only in The Critique of Pure Judgment will reconsider the issue, thus opening the road to modern aesthetics. Thus the philosopher of history is also the philosopher who “discovered aesthetics” and therefore he is the one who opens the door to modern philosophy, as Croce understood it. Croce stresses that often in Vico the two moments of philosophy and of history, more than become one dialectically, seem to juxtapose one to another and distinguish each other arbitrarily. On one side the poetic appears as an eternal category of the spirit, which lives only in its concrete historicity, in other places it appears that it determines itself in a particular historical epoch, thus losing strength and universality. 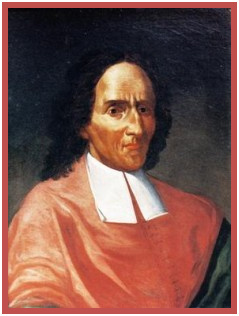 Nevertheless, Croce declares that at the core of Vico’s thought one can easily recognize the germ of modern philosophy, once the autonomy of the world of aesthetics is discovered, a discovery due to the genius of Giambattista Vico. There is no doubt therefore that in the sphere of historical derivation, De Sanctis is Croce’s favored author. In the sphere of idealism there is Kant and Vico, in Vico one finds the essential points of reference (and in Hegel too, naturally)…for his entire philosophical system, but above all in regard to aesthetics. And there is one more discovery by Croce, that of the theory of pure visibility of Fiedler, who was not a systematic author nor was he a pure philosopher, yet he was a sharp and original thinker. He was mainly interested in issues of figurative arts, and, according to Croce, was able to intuit the modern theory of art as autonomous vis a vis the other forms of the spirit, of art as a form of pre-logical knowledge. Should we wish to identify a clear sign of what the philosophers mentioned have in common as Croce’s authors and predecessors, it is the concept of art as an autonomous form of knowledge. This is Gordian knot which Croce will attempt to untie in his formative years and that will become, later on, the nucleus around which will rotate the other fundamental concepts of Crocean aesthetics. If art is autonomous, it means that it has its raison d’être, its necessity since it identifies with the knowledge or the particular, without which no other knowledge and no other action would be possible. This means also that it is not immediately ethics, not immediately utility, nor it is thought. Therefore any judgment one wishes to render on a world of art, it needs to be given according to this specificity: it is of little importance for a judgments on aesthetics if it expresses a concept that is moral or immoral, if it is politically correct on incorrect, if it useful or not useful for some thing, if it is true or false according to philosophical or scientific criteria. But of course art is not devoid of morality, it is not useless or false. Its autonomy is a distinction, not an opposition. Art is not moral but it not immoral either. It is, so to speak, beyond good and evil in the truest sense of such an affirmation. It is moral in as much as it is a successful expression of the sentiments with which a poet, an artist or any man, represents and knows the world in its manifestations, without evaluating it in its historicity. Art is useful because everything history produces is, in some way, useful, but its specific utility is not to be found outside itself, that is to say, outside the satisfaction of artistic expression. It is another matter altogether that works of art can be utilized as an object of historical, sociological, psychological, political studies. It is fine to interpret the Divine Comedy in an attempt to understand life and the customs of a certain period of the Middle Ages; or to read French decadentism to attempt to penetrate what was unique about the era or even psychological states of being of a group of men or particular women, of children, and so on. The point is that one ought not to confuse the aesthetic judgment, and thus avoid a great confusion. Croce’s aesthetics was therefore an effort to clarify, distinguish, argue everything that concerns the world of art, a particular region of being which needed to be identified and freed from prejudices and equivocations. These were distinctions and argumentations which were purely philosophical, since Croce did not wish to create a new poetic, that is to say, a prescriptive aesthetics to advice and to induce artists and poets to follow particular rules and precepts. The study of language is the starting point of Vico’s historicism. For Vico, language is humanity’s primordial historicization. In fact, Vico’s professed academic discipline was neither history nor philosophy but rhetoric, i.e., the study of language in its creative aspects and as a literary phenomenon. The reason Vico rejects the Cartesian paradigm for the apprehension of reality is that, in its stress on rationalism, if fails to criticize itself in order to return to the springs of reason. Thus rationalism is unable to acknowledge that fantasia, which is to say, imagination, intuition and other non-rational factors play an important role in the creation of the human world. For Vico it is language, rather than “clear and distinct ideas,” that provides the most important documentation for the epistemological relationship between man and his world. This relationship of the mind with the external world is imaginative, sensuous and even emotional. It is there, within language that one may hope to discover the genesis (dubbed by Vico nascimento) of institutions and human development. Vico informs us that most of his literary career has been devoted to pondering and researching how primitive man thought and spoke. From these reflections Vico derived his “poetic logic” defined as the master key of his New Science. That key is “…the fact that the early gentile people, by a demonstrated necessity of nature, were poets who spoke in poetic characters” (SN, 34). Vico is able to recreate this primordial poetic phase of language by focusing on its dynamic, rather than its mere functional communicative aspects where the connection between signifier (form) and signified (content) remains an arbitrary one. For Vico verum factum convertuntur, i.e., content and form are convertible. As Edward Said explains it: “Vico…associates intelligence with a kind of escape-and-rescue operation, by which the mind gathers and holds on to something that does not fall under the senses, even though that ‘something’ could not come into being without the body and sense experience (From “Vico and the Discipline of Bodies and Texts” in Modern Language Notes, 1976, p.823). For us modern men, the recapturing of this mode of thinking lies in the fact that for us a mediating reason necessarily alters it. Lucretius in his De Rerum Natura, intimates a pre-logical phase of language; a language originating naturally, within feelings. Vico however goes further and postulates three eras: the era of the gods, the era of the heroes, and the era of men (SN, 31). To these three eras (which may be phenomenological and epistemological as well as chronological) he assigns three specific phases of language: (1) a mute phase characterized by body or sign language, (2) a spoken phase characterized by heroic emblems, similes, comparisons, images, metaphors, (3) a human language characterized by words agreed upon by the people (SN, 32). In the first two eras the language is expressive and poetic; here acts and objects have a natural relation to the ideas they are meant to signify. The primitive men who made these poetic signs were poets (in Greek the word “to create” is poein). Behind the linguistic sign there is a real image. In fact, at its very origins the sign and the image are one. This is not easy for us to imagine because our linguistic signs do not, as a rule, evoke an image. We abstract things and their qualities out of existence and create notions to which the linguistic sign then attributes existence. But at the origins of language, the image signifies and is assumed to signify universally what it is: the “poetic universal” objectifies a section of experience into permanent significance. This still obtain for us in art where the singularity of the object “signifies,” i.e., it has autonomous value by itself but it is also universal. But even here we need to return to cave painting to better understand how the bull is not a mere representation, or for that matter, and aesthetic thing of beauty, or an abstract essence, rather it is a sign, a gestalt, a presence of the life force incarnated in the bull. Here, much better than in our modern art, one can perceive the dynamic power and vitality of life in act, something that is not accessible to reflection and analysis. We should however keep in mind that Vico is not excluding rational induction from the creation of language. The three phases of language are three aspects of human nature which converge in producing language as activity and form. Here the unity of human nature establishes the universality of language. As Vico puts it: “From these three languages is formed the mental dictionary by which to interpret properly all the various articulate languages” (SN, 35). This is similar to Noam Chomsky’s generative grammar, almost a genetic endowment of Man. Indeed, the very possibility of Vico’s science is related to the existence of universals of human nature reflected in linguistic universals formed by the human mind. There is a diachronic and a synchronic unity in language which is based on the unity of human nature. The failure to correlate spoken and written language produces in turn the failure to understand the origins of language. Regarding this matter Vico says that “the difficulty as to the manner of their origins was created by the scholars themselves, all of whom regarded the origin of letters as a separate question from that of the origin of languages, whereas the two were by nature conjoined…scholars failed to understand how the first nations thought in poetic characters, spoke in fables, and wrote in hieroglyphs (SN 428). In other words, Vico is saying that spoken and written languages are two aspects of the same phenomenon. Vico is searching within the linguistic sign for clues to that kind of creativity reflecting, almost unconsciously, the lived experience of things. The three moments in which this happens are: (1) the silent, (2) the sacerdotal heroic, (3) the conventional. In the first phase man, still without a spoken language, confronts the world which he experiences and within which he is submerged almost as integral part of nature. Here there is no dualism, no awareness of the mind that knows as distinct from the surrounding world. The particular event, lived or experienced, is expressed through gestures subsequently rendered graphically as a hieroglyph. In contemporary linguistics this is called “topical recognition” of an experience for the purpose of representation. In the second phase, i.e., the heroic, a particular content of consciousness relates to sense data by becoming their symbol and signifying them. Here there is still a necessary natural connection between signifier and signified which becomes arbitrary with the sign of the third stage where the necessity is merely historical. Within the Vichian linguistic scheme, this is the most genuinely creative stage: the sacerdotal-heroic. Here language is poetry. The theological poets see the sky and the earth as majestic animated realities and personify every natural phenomenon. Every cosmic reality is captured in images. In Vico’s own words: “This is the way in which the theological poets apprehended Jove, Cybele or Berecynthia, and Neptune, for example, and, at first mutely pointing, explained them as substances of the sky, the earth, and the sea which they imagined to be animated divinities and were therefore true to their senses in believing them to be gods” (SN, 402). An inverse process obtains in the more properly heroic language. Here the particular individuation of a figure (for example, Achilles) precedes the signified (the strength of heroes). The signifier is the myth or the allegory, as for instance the legend of the hero (Achilles); the signified is the logos or the meaning; the idea of valor or strength proper to heroes. This idea Vico calls an “imaginative universal,” or the expression of a truth. The two, the myth and the logos can be distinguished but cannot be separated. Like form and content, they are inseparable. The two phases preceding conventional language are mental processes through which intuitive knowledge finds its form. A form of knowledge this which has been contemptuously neglected within Western Cartesian rationalism. By the time we get to the third stage, that of conventional language, we find reflected there, in a shortened form, the universal processes of the divine and heroic phases of language. To say it in Vico’s own words: “In this way the nations formed the poetic language, composed of divine and heroic characters, later expressed in vulgar speech, and finally written in vulgar characters. It was born entirely of poverty of language and need of expression. This is proved by the first lights of poetic style, which are vivid representations, images, similes, comparisons, metaphors, circumlocutions, phrases explaining things by their natural properties, descriptions gathered from their minuter or their more sensible effects, and, finally, emphatic and even superfluous adjuncts” (SN, 456). Many of the elements of the conventional language (the third stage) can be traced back to that poetical or creative moment when the nexus between the sign and the thing is still necessary. Finally, we must emphasize here that in his attempt to discover through language the documents of primordial human history, Vico’s conception of rhetoric is not one of rhetoric as a purely literary instrument, but rather one of rhetoric as a poetics informing the different forms of the linguistic act and consequently the different forms of human participation to things in time. These forms are primary creations, not artifacts of oratory. In fact, Vico associates his three stages of language with three major rhetorical figures of speech: the silent divine stage is associated with metonymy; the heroic with synecdoche; the conventional with metaphor. Irony emerges last as the product of pure reasoning and cannot therefore be a pure form of that imaginative creativity from which issued the other three tropes. The most important of these is metaphor. It is the most important tool for the development of poetic language. It is, in fact, the tool with which “the first poets attributed to bodies the being of inanimate substances, with capacities measured by their own, namely sense and passion, and in this way made fables of them. Thus every metaphor so formed is a fable in brief” (SN, 304). This is consonant with the Vichian principle that the original creativity of man is based primarily on the senses, passions and imagination rather than on reason. 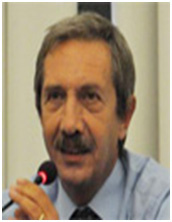 Ernesto Grassi (in his Rhetoric and Philosophy, The Pennsylvania University Press, 1980) says that “No theory, no abstract philosophy is the origin of the human world, and every time that man loses contact with the original needs and the questions that arise of them, he falls into the barbarism of ratio” (p.25). Indeed that describes our technocratic Cartesian civilization. The origins of human history are to be found not so much in the discovery of primitive technology (tools, fire making, etc.) but in that mytho-poetic clearing of the primeval forest for the preparation of a human habitat. Metaphorically, that is one of the acts of Hercules. Every genuine metaphor is Herculean work. And it is this Herculean act, according to Vico and Heidegger, that needs to be re-created in order to rediscover human origins. What are the hermeneutical implications of Vico’s linguistic speculation? Vico is the first linguist to point out that language is performatory in nature, i.e., at its most fundamental level it is intrinsically related to what it signifies. The specifically historical way in which he understands this performatory function of language is seen in this fundamental principle of theNew Science: “The nature of institutions is nothing but their coming into being (nascimento) at certain times and in certain guises” (SN, 147). For Vico the nature of things is the verum or the content; the guise or mode of being is the centrum or the form. And of course, one of the first things that comes into being in a special mode at a particular time is language. In his De Antiquissima Italorum Sapientia, Vico points out that in primordial times there is a kind of incarnation of a particular language to a particular people. Here too a principle of complementarity obtains: minds are fashioned by languages just as languages are fashioned by minds. The two poles (language/mind) are inseparable. It is absurd to think that there are “clear and distinct ideas” standing behind language which then language strains to express adequately, as Descartes thought. Rather, historical reality arises with the language that testifies to it. In turn that particular language has a “natural” or intrinsic relation to the historical reality. That is what the term “Latin people” intimates. The process remains complementary. Vico is usually accorded little credit for the above described hermeneutics: the idea that understanding comes through language, that is, through the form of a literary or philosophical or even scientific work. The form pointing to a subject matter (the content) is already in itself an initial interpretation of the subject matter. Therefore, in order to understand the nature of language, one does not try to penetrate to the thought which Descartes assumed standing behind language. Rather, as Martin Buber aptly puts it: “The encounter with any of man’s works, especially those done through language, remains intrinsically historical.” The link of language to history is “poetic wisdom” proper, transcending the dichotomy subject/object. On the other hand, the Cartesian objectivity ends up reducing a “work” to a mere “object.” With such an operation, the language event cannot possibly seize and transform the reader. Being preoccupied with analysis, one will invariably neglect to listen to what is being spoken in the words and, most importantly, what is being left unsaid. In short, the work will not speak. How can it, since it has been reduced to an object, an it preventing any kind of I-Thou relationship with the reader. Indeed, the being that happens in language is not the product of a reflective activity of the mind. Man’s relationship to language and history cannot be one of “using” them but rather, one of “participating” in them. In the presentation of contemporary histories, the reader rarely gets an invitation to participate actively in language as another man standing within a world made by language. What he ends up getting nowadays, especially from academic experts, is literary and “distinct” explanations of events looked upon as objects. A whole semester may be spent on literary analysis while the text itself will go unread and thus the student rarely discerns that a great literary work is truly an historical experience in the sense that understanding stands in a specific place in time and space.